We are excited to announce Tanaza’s win of two Wi-Fi NOW Awards. This year, Tanaza took home the awards in two categories: Best Wi-Fi Startup and Best Enterprise Wi-Fi Solution. According to the award criteria posted on the Wi-Fi Now website for each category, the Best WiFi Startup award was given to the company who represented the best value proposition on the market today, and the Best Enterprise Wi-Fi Solution award was given to the vendor that had created the most value in this segment. In a previous post, Tanaza announced its participation in the Wi-Fi NOW Europe expo and conference hosted in Berlin, Germany where our CEO Sebastiano Bertani would speak on the conference’s main stage in a session titled “Unbundling Wi-Fi hardware and software “. 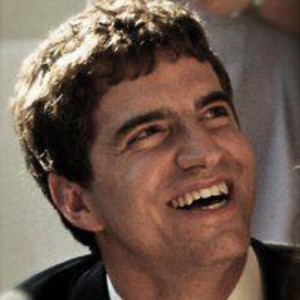 On November 6th, Sebastiano Bertani’s session took place. The session was attended and praised by many, including Wi-Fi NOW’s renowned CEO & Chairman, Claus Hetting, who defined his speech “interesting and provocative”. If you would like to listen to Sebastiano Bertani’s session, we can send you a recording of it at a later date. If you are interested, please write us to marketing@tanaza.com. On October 15th, it was announced that Tanaza was shortlisted as a nominee in 3 different categories (Best WiFi Startup, Best Enterprise Wi-Fi Solution and Best Service Provider Wi-Fi Solution) of the 2018 version of the Wi-Fi NOW Awards. Tanaza won in 2 of the 3 categories in which it was a nominee. 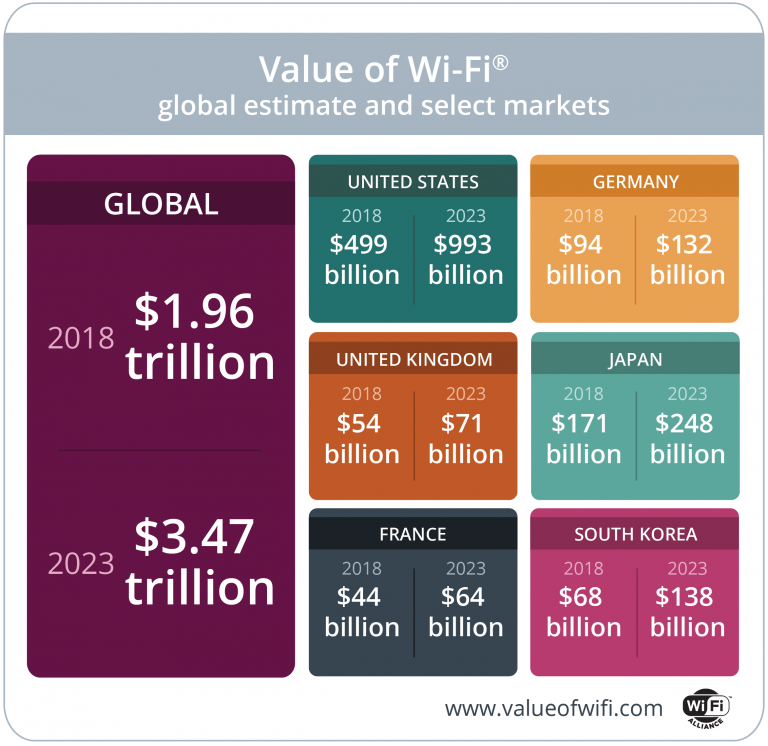 Wi-Fi NOW is the only expo and conference in the world dedicated to Wi-Fi. Every year, expert speakers in the field of WiFi showcase their skills and share their expertise with event attendees. 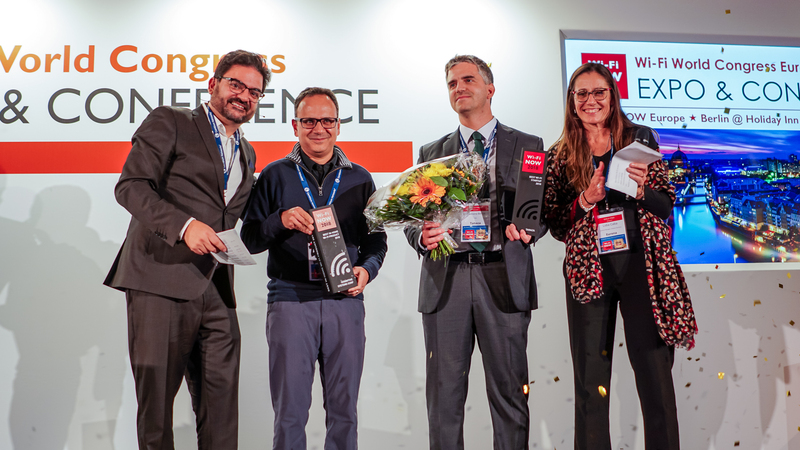 At the end of each day of the conference, the winners of the WiFi NOW awards are announced. The winners consist of a select number of companies considered the world’s best in WiFi. This year there were 8 different WiFi NOW award categories. To ensure fair judging takes place, the Wi-Fi NOW awards process involves a panel of appointed judges, completely independent from the Wi-Fi NOW team or any of the shortlisted nominees. Tanaza has developed a feature to help WiFi network administrators collect additional custom WiFi user data in addition to the data already collected with authentication methods like social login, like Facebook, Twitter, Instagram, etc. Once collected, this data can easily be leveraged to execute in-target marketing campaigns, such as email marketing. Once a user logs into a network using a popular authentication method like social login, the system collects personalized data about the WiFi user, like their gender, age, name, surname, email address, location to name a few. However, since social media platforms have adopted strict policies for user data protection, users can now customize their profiles’ visibility and can choose to keep private the personal information on their social media profiles. As a result, Tanaza has combined two existing authentication methods to compensate for the lack of data provided by having just one. This latest update known as pre-filled form-based authentication provides a system that allows network administrators to request additional information about their WiFi users by enabling custom form authentication after social login that users must fill in before connecting to the WiFi network. To collect more specific data about WiFi users, aside from the one collected with initial authentication method (i.e. 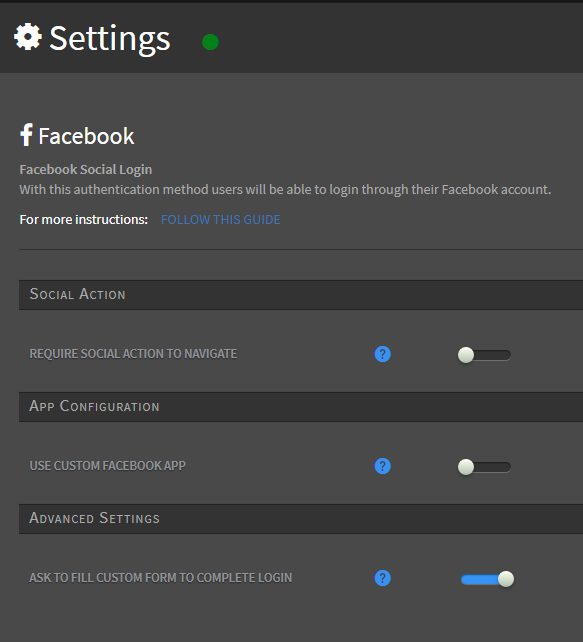 social login), WiFi network administrator can simply enable custom form authentication, which consists on asking the users to fill in a custom form to complete the login, as seen on the image below of the Tanaza splash page editor’s Advanced Settings for Facebook Social Login. This pre-filled form-based authentication is a handy captive portal configuration in public networks located in places like retail stores, supermarkets or educational institutes. By requesting a student number or a fidelity card number, the WiFi network administrator can be offer targeted discounts and share information tailored to the user. What is more, this tool can also serve as a verification system in order to identify that the user is a real user, using their personal phone number. Thanks to the data retrieved from the WiFi user’s social profile (if its privacy setting allows that) and the information collected using the custom form, WiFi professionals can run various types of targeted marketing campaigns. Thanks to Tanaza’s captive portal, WiFi network administrators can enable multiple authentication methods for users to log into a public network. WiFi vouchers is just one of the many authentication available. Recently, Tanaza’s couponing system feature was updated so that WiFi network administrators could enable users to see details regarding the usage of their WiFi vouchers once they’ve logged in to the network using a coupon code. The couponing system feature allows network administrators to distribute WiFi vouchers to configure a coupon template, set a data limit, a quota limit, a duration, add an expiration date, and enable the “stop and resume” option. Thanks to the latest update of the feature, the network administrator can now also choose whether or not to show its WiFi user detailed data about their voucher usage. Furthermore, This feature can be leveraged for both new WiFi users and for returning WiFi users, thanks to Tanaza’s remember me feature that automatically logs in users who have previously logged on to the network. 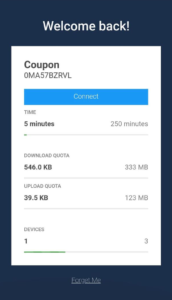 Once they input the coupon code, new WiFi users will be shown the usage data (if enabled) the network administrator chooses to display and will then be redirected to a landing page. The Tanaza remember me feature allows returning users to automatically login to a WiFi network without the authentication process. A welcome back splash page will be displayed (as seen in the image above) automatically showing data about the voucher previously used to authenticate, the returning user will be able to see usage data,such as session time and the remaining upload and download quota. The welcome back splash page will not require re-authentication and will give users the option to choose when to connect by simply clicking on the connect button which will redirect them to a landing page, or to request to be forgotten if they wish to use another login method or another coupon to access the network. Tanaza aims to develop its latest features according to its customers’ needs. Because of this, it is now possible for WiFi network administrators to set up a custom form WiFi authentication together with a phone number verification. This new feature enables WiFi network administrators to verify the phone number of its WiFi users once they have logged in through a custom form. The custom form authentication allows owners of venues to collect personalised data about their clientele and enrich their database for marketing purposes. 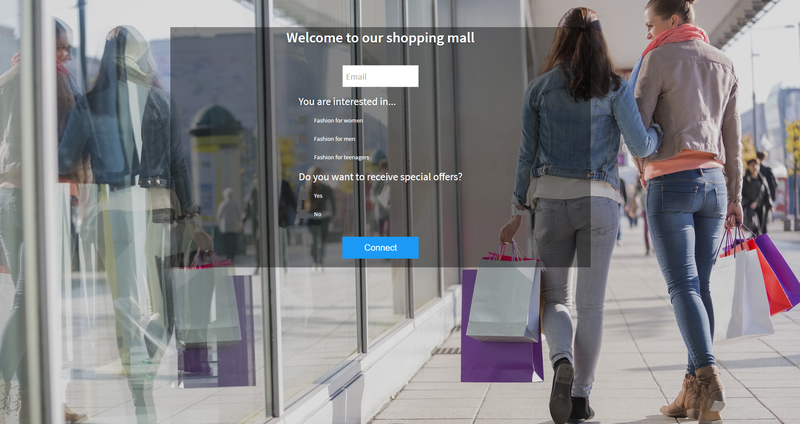 For example, using the custom form, theWiFi network administrator at a mall could ask WiFi users their gender, their favourite clothing brand, or if they want to receive special offers via email etc. 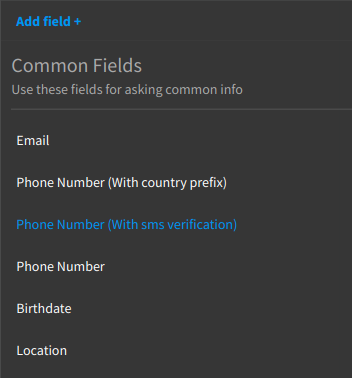 In addition to personalised data and their email address, WiFi network administrators have now the possibility to ask and verify users phone number by simply adding the field “phone number (with SMS verification)”to the custom form, so that once the user fills the form and clicks on the button, an OTP (One Time Password) will be sent to that mobile number, that the user will copy into the splash page in order to complete the login. The administrator of a network will be able to run marketing campaigns and leverage collected phone numbers, after asking WiFi users’ consent. Moreover, each user can access the network with one single phone number for multiple devices which allows the administrator to understand better the total number of single users. Try Tanaza for free now! We are excited to announce that Tanaza will be attending the Wi-Fi NOW Europe expo and conference hosted in Berlin, Germany from the 6th to the 8th of November. Every year, this 3-day event features industry-leading speakers from all over the world. This year, our CEO Sebastiano Bertani will be a part of this fantastic lineup of speakers, speaking on the conference’s main stage. His session, titled ‘Great innovations: Delivering Wi-Fi intelligence via the Cloud’, will be conducted during Day 1 of the conference (November 6th) in the afternoon. If you are a Tanaza customer and you would like to attend the conference, we invite you to join the World’s Premier Wi-Fi Event with 25% discount. Get in touch with marketing@tanaza.com to obtain the voucher code. Then, book your ticket here. If you cannot attend the conference but would like to listen to Sebastiano’s session, we can send you a recording of it at a later date. If you are interested, please write us to marketing@tanaza.com.